The 53rd Annual Grammy Awards were held this past Sunday at the Staples Center in Los Angeles, California. A legend in soul music even referred to as the Queen of Soul Aretha Franklin, an 18 time winner of the Grammy Award received the 2011 Tribute Award. In honor of her and all of her accomplishments over the years, Christina Aguilera, Jennifer Hudson, Martina McBride, Yolanda Adams and Florence Welch participated in the tribute. Grammy sponsors are describing it as a “valentine” and a “get-well card” to Ms. Franklin. She was hospitalized in Detroit late last year, underwent surgery for an undisclosed ailment and canceled several months’ worth of scheduled performances. During their performance all the women wore black designer dresses with the exception of Florence who wore a cream colored gown as well as designer jewelry. The Queen of Soul who was allegedly diagnosed with cancer last December was unable to attend the ceremony but appeared in a pre-recorded video from her home in Detroit where she thanked the ladies for doing the tribute for her as well as all of her fans that supported her all throughout her career. 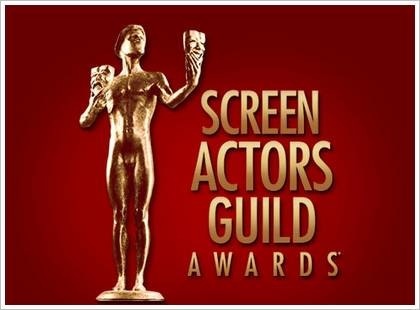 On January 30, 2011 launched the 17th Annual Screen Actor Guild (SAG); honoring the outstanding film and television performances. The encore presentation was held on TNT delivering the results of the nominees, releasing the nominations mid-December, 2010. The beautiful night was filled with glitz and glamor. The history of the SAG Awards was first established in 1993, it is the nation’s largest labor union recognizing all the honoring actors in the art they are performing. The SAG Awards are honoring the outstanding performances among individual as well as cast members of both drama and comedy films over the past year, 2010. SAG is proudly affiliate with the AFL-CIO. The categories for awards ranged from a variety of performances. “Outstanding performance by a cast, outstanding performance by a male/female in a leading role, outstanding performance by a male/female in supporting role, outstanding performance by a male/female in comedy series,” etc. Many of our adored actors and actresses accepted their awards with memorable speeches thanking all of their fans and the individuals that were apart of the production. As the sophisticated speeches were given I could not take my eyes off of how beautiful and elegant each star appeared. They wore beautiful designer dresses and tuxedos such as Versace, Oscar de la Renta, Chanel and many other well known designers. This years event will be another award ceremony that will not be forgotten. Award winners included the cast of “The King’s Speech,” “Modern Family,” individual awards were handed to Colin Firth, Steve Buscemi, Julianna Margulies, Christian Bale, Melissa Leo, Claire Danes, Betty White, and Natalie Portman, including many more.